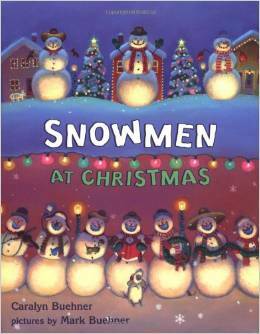 Since Christmas is fast approaching we just got done reading Snowmen at Christmas by Caralyn Buehner. 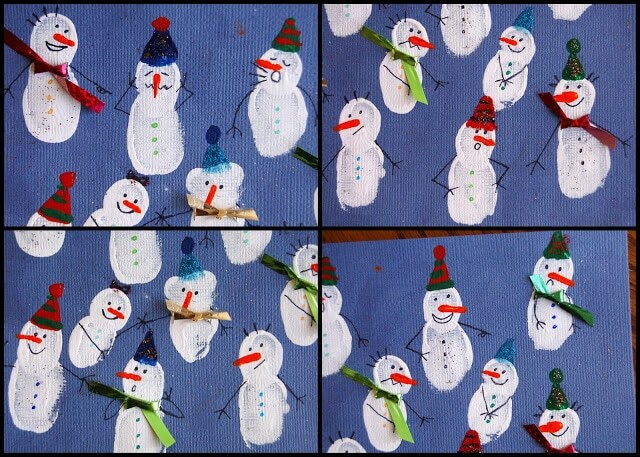 We thought it would be super fun to make a snowman collage using our fingerprints to go along with the story. 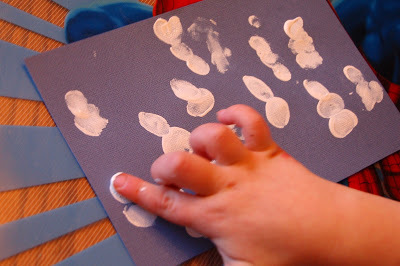 This was originally posted at Handprint and Footprint Art and I’m happy to share the tutorial on my blog too. You can purchase Snowmen at Christmas on Amazon! 1. Start by cutting a sheet of card stock paper in half. I thought a whole sheet would be too much for the kids but you be the judge. I used blue so the white snowmen would stand out. 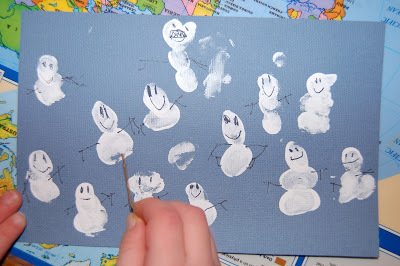 Have your children press their thumbprints and fingerprints on the paper to make snowmen. 2. After the paint is dry, use a fine tip black marker to draw eyes, a mouth and arms on your snowmen. 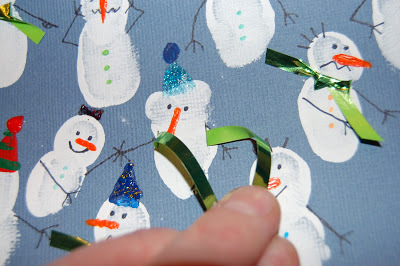 We also used different color fine-tipped markers to draw buttons on the snowmen. 3. To paint on the carrot nose, I cut a small strip of cardboard and we dipped the end into orange paint and pressed it onto each snowman. 4. 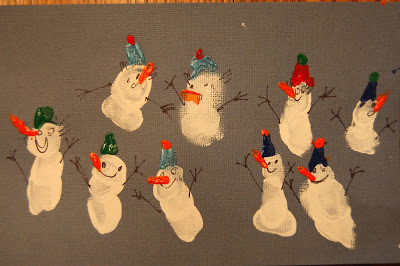 We then used the same painting technique to paint hats on the snowmen. I pressed the cardboard piece down and then slid the bottom of it over to create the triangle shape. 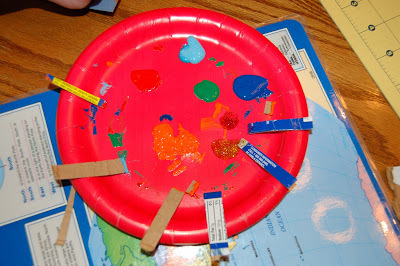 That didn’t work so good for the kids so they just painted with the little cardboard piece like a paint brush. We had a lot of different cardboard strips going on for all the colors. I thought I’d show you what it looked like so you could see how you don’t really need that much paint at all. We also used some glitter glue to add glitter to the snowmen hats. 5. After the paint was completely dry, I added some ribbon scarfs on some of the snowmen. To do this I used a craft knife to cut two small slits under the snowman’s head. Then I pulled a small piece of gift wrapping ribbon through the holes and tied a knot. We used a variety of different colors. The boys snowmen scene’s turned out soooo cute! Here is my 7-year old’s. 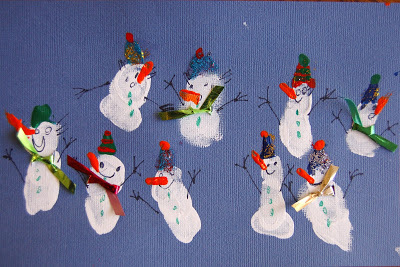 Here’s a close-up of some of the snowmen. 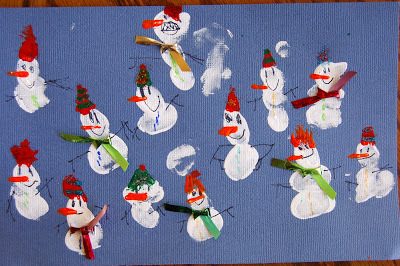 Here is my 4-year old’s and a close up of some of his snowmen below. 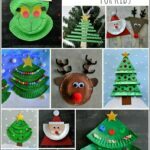 My boys LOVED this craft and I’m not gonna lie, I obviously did too! 🙂 You can create some pretty funny scenes with your snowman. These would make the cutest cards for Christmas if you folded your paper in half instead of cutting it. You might also enjoy our Cupcake Liner Snowman! These turned out really cute & it sounds like you all had a blast making them. We going to do a snow/artic unit after Christmas, I'm adding this to our craft list. I love how these turned out, Rachel. They look like a lot of fun to make too. Thanks for sharing at AfterSchool. This is super-cute. I love Usborne Books! These are so cute!! Thanks for sharing on the Afterschool Blog Hop! So cute! I love it, Rachel, and will definitely be trying it with Hazel. Thank you for sharing it at Sharing Satudray! 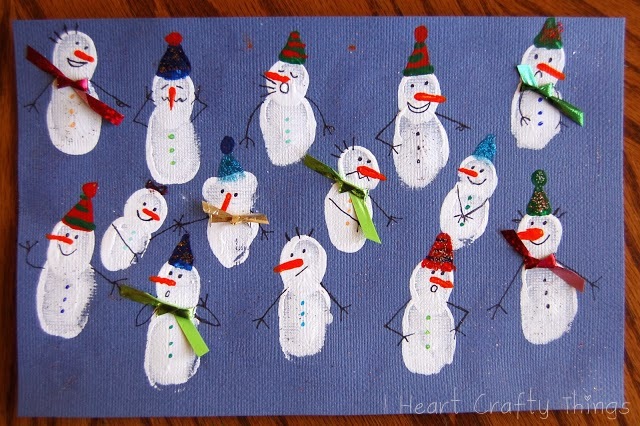 Very cute craft, I pinned it for the next year! Visiting from Afterschool! I love these! Pinning it to do with the kids this week! LOVE LOVE LOVE! We did fingerprint snowman on ornaments last year…I'm pinning this because we can do snowmen all WINTER LONG! 😀 Thanks for sharing at Thrifty Thursday!! Hope you had a fantastic Holiday Season! 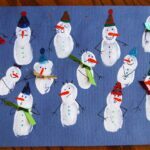 I just mentioned your cute fingerprint snowman activity on my blog. Take care! Oh my – these are adorable! Love love love the canvas art thumbprints. 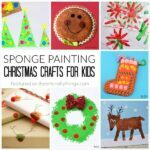 Thank you for linking up on momstown arts and crafts. Your snowmen are so cute! It is one of the best crsfts I've seen lately!